LiAngelo Ball to play in the Philippines? MANILA, Philippines - Filipinos might see one of the Ball brothers play live in action this year if plans don’t go accordingly for the most-hyped and young Ballers as local basketball agent Ms. Sheryl Reyes expressed her intent to bring Liangelo Ball in the country. Ms. Sheryl Reyes, one of the agents in the country who have the best pool of local and international players under her name, has just recently flown long-time Ginebra import, Justin Brownlee and NBA veteran Renaldo Balkman to Manila to play for Tanduay Alab Pilipinas in the ABL. The lady agent is not done yet in surprising the Filipino basketball fans as she posted her conversation with Ball Brothers’ agent, Harrison Gaines on her Facebook account inquiring about the availability of LiAngelo Ball. 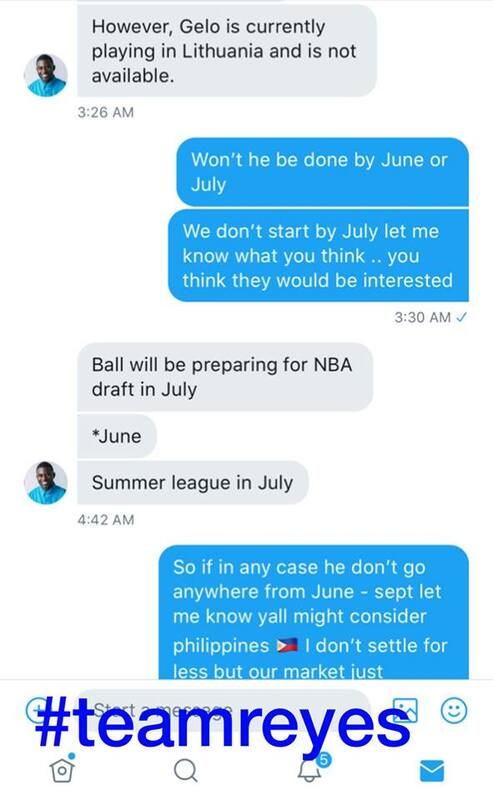 In the chat window, Harrison Gaines informed Ms. Sheryl Reyes that Liangelo Ball will not be available until mid this year as Gelo Ball is currently in contract with Vytautas Basketball Club in Lithuania together with his younger brother, LaMelo Ball. Come June this year, the middle Ball will still not be available as he prepares for the 2018 NBA Rookie Draft and will also suit-up for the NBA Summer League a month after. Reyes informed Gaines to give her a heads-up if Gelo Ball will not be going anywhere after the draft and summer league and if they want to try out the Philippine basketball market either for a PBA team or Alab Pilipinas in the ABL. 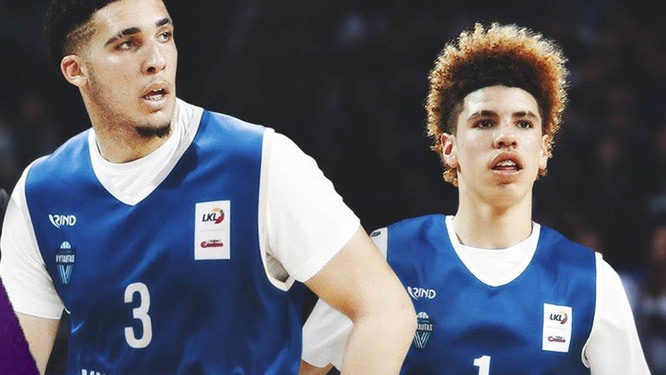 The Ball Brothers became instant online sensations because of their father Lavar Ball who aside from establishing the sneaker company Big Baller Brand criticised various NBA personalities on Social Media as well as exchanges of twitter jabs against US President Donald Trump with regards to Gelo Ball’s theft case in China. The elder Ball, also made the headlines late last year as he pulled out LiAngelo Ball from UCLA and LaMelo Ball from Chino Hills High to hone their basketball skills more abroad. Lavar’s eldest son, Lonzo Ball is currently playing for the LA Lakers and an ambassador of Big Baller Brand. Whether most hoop junkies hate the Ball family or not, LiAngelo Ball’s presence will definitely add huge media mileage to any team or any league that he will be playing on especially here in the Philippines where basketball is a major sports. If Gelo Ball’s stint in PBA or ABL happens, Philippines will also be in the headlines of well-known sports websites and newspapers all around globe.